The Movie Poster »Candyman: Farewell to the Flesh« for the Movie »Candyman: Farewell to the Flesh« from Director Bill Condon on CAFMP – Central Archive for Movie Posters. 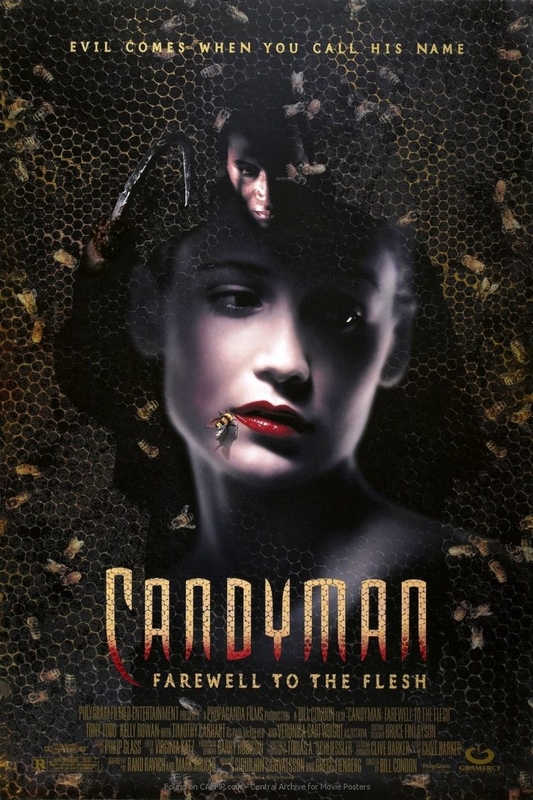 Poster »Candyman: Farewell to the Flesh« from movie »Candyman: Farewell to the Flesh« on CAFMP - Central Archive for Movie Posters with the star Kelly Rowan and Tony Todd on it. Bitte beachten: Sie bewerten hiermit nur das Filmplakat, nicht den Film »Candyman: Farewell to the Flesh«. Auf diesem Weg können wir zukünftig die Höhepunkte eines bestimmten Jahres oder die Besten Plakate aller Zeiten veröffentlichen. If you found a mistake in our data for the Poster (Candyman: Farewell to the Flesh) just send us corrections or further information with this form. This is NOT a comment form. For release comments to the posters scroll down.